Electrical accidents can occur at any time and the consequences are usually extreme. Keeping your premises safe, whether it is your home, business or rental property is of paramount importance. 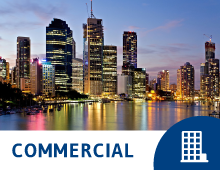 Owners of either a commercial premises or rental property are legally obliged to ensure that the property is safe and fit for its purpose. An electrical safety inspection will highlight any possible safety hazards within the electrical installation and network. After performing a comprehensive safety inspection Globe Electrical Solutions will then issue you with a detailed report at an affordable rate. One important aspect of providing a safe environment is that the electrical systems are in good working condition and that there are no electrical hazards or faults. One way to ensure that your business or property(ies) comply with safety regulations is to have an electrical safety inspection done. What is Involved in an Electrical Safety Inspection? We are licensed electricians and qualified and licensed to undertake electrical safety inspections. We make sure we meet the requirements of Workplace Health and Safety Regulations regarding electrical legislation and safety. The purpose of these laws is to help prevent accidents and even death by preventing electrical hazards. The best way to prevent electrical hazards is to have regular electrical inspections and testing – and these regular electrical safety inspections are required by law in Queensland. Appliance Testing and Tagging Emergency. Immediate Repair of any dangerous Defective Items. Test Appliance and Electrical Tools. Inspection of lights and switches. Ensure compliance with Electrical Safety Regulations. Globe Electrical Solutions will provide you with an easy to read and understand inspection report. The report will describe all work done. It will clearly list any areas of defect or potential defect. Recommendations for any electrical works will be provided. A quote for any necessary works will also be included. We are Brisbane based electricians and provide a high standard of service and expertise in all the work we do. If you are looking for an electrical company that will do a thorough safety inspection for you at a reasonable price, please call us on 0433 209 393. We look forward to your call and providing you with the electrical service that you need.